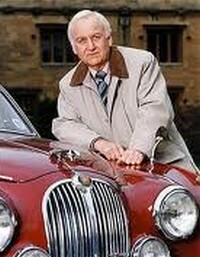 John Thaw studied Colin Dexter's books, befriended the author, and for millions and millions of fans, became Inspector Morse. The show consisted of 33 episodes, running from 1987 - 2000, until John Thaw could not continue. He passed away February 21, 2002, at age 60. John Thaw left us much too soon, and time has not come close to erasing his memory. 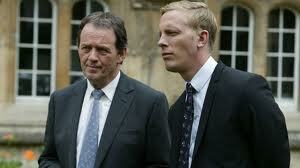 That's why Inspector Lewis, and his assistant, Detective Sergeant Hathaway, now star in their own series, Inspector Lewis, also based on the characters created by Colin Dexter. In spite of Keven Whatley's and Lawrence Fox's acclaimed work in the series, we still miss Inspector Morse, and we know in our heart he will never be replaced, not even by Inspector Lewis. And now, Russell Lewis, the creator of Endeavour, has stepped to the plate and hit another home run based on Colin Dexter characters, this time with a difference. The character is Morse himself, a younger version. 2012 and was so well received, they contracted for four more episodes. They ran in April and May of this year to the delight of upward of six and a half million Morse fans (not including those of us in the United States). So BBC jumped for another set of Endeavour - I'd guess that decision didn't require a lot of board room discussion. Do I recommend it? UNCONDITIONALLY! It's a do not miss, in fact I rent it by the episode, and I've purchased the entire series to watch while we wait for next years renderings. Many authors have created characters that were so memorable they continued to live long after the book was out of print, and even after the author passed away. Character longevity only happens when the characters step off the pages into the hearts of the readers. Atticus is still a popular boy's name in my part of the world, and I've met two Scouts. Amazingly, the Scouts, both of them have been so indoctrinated in the lore of To Kill A Mockingbird, they have become Scout, at least they have become the Scout I think of when I recall the book. To create characters like that, characters who come to life and walk beside readers forever, takes a lot work, but more than that, characters like that only come from the pen of authors who are willing to live in the world of the characters they create.